Erich Fromm (March 23, 1900 – March 18, 1980) was an internationally renowned German-American psychologist and humanistic philosopher. His psychological theories, although originating in Freudian psychoanalysis, focused on the self as a social being, using the capacity for reason and love to advance beyond instinctive behavior. Fromm believed that human beings need to be responsible for their own moral decisions, not just adhering to norms imposed by authoritarian systems. In this aspect of his thinking he was influenced by the ideas of Karl Marx—specifically Marx’s early “humanistic” thought—and in his philosophical work he was associated with what became known as the Frankfurt School of critical thinkers. Fromm rejected violence, believing that through empathy and compassion human beings can rise above the instinctive behavior of the rest of nature; this spiritual aspect of his thinking may be a legacy of his Jewish background and Talmudic education, although Fromm did not believe in the traditional Jewish God. Fromm's chief influence remains in the field of humanistic psychology, even though he dissociated from its founder Carl Rogers. His The Art of Loving remains a popular bestseller as people seek to understand the meaning of "true love," a concept so deep that its surface may be all that that Fromm's work was able to reveal. Erich Fromm was born on March 23, 1900, in Frankfurt-am-Main, which at the time was part of the Prussian empire. Erich grew up as an only child in an Orthodox Jewish family. Two of his paternal great-grandfathers and his paternal grandfather were rabbis. His mother's brother was a well-respected Talmudic scholar. At age 13, Fromm began his Talmudic studies, that would last fourteen years during which time he was exposed to socialistic, humanistic, and Hasidic thought. Though devoutly religious, his family was involved in commerce, as most Jewish families in Frankfurt were. Fromm described his childhood as growing up in two distinct worlds, the traditional Jewish and the modern commercial. By age 26, he rejected religion because he felt it was too divisive. Still, he carried his early memories, impressed with the Talmud's messages of compassion, redemption, and messianic hope. Two events in his early life had serious effects on his outlook on life. The first, at age 12, was the suicide of a young woman who was a friend of the family. Her life had many good attributes, yet she could not find happiness. The second, at age 14, was the outbreak of World War I. Fromm witnessed many ordinarily gentle people turn hateful and homicidal. The search to understand the cause of suicide and bellicosity underlies much of Fromm's thinking. 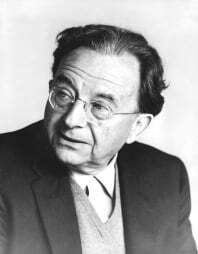 In 1918, Erich Fromm began his studies in Germany, at the Johann Wolfgang Goethe University in Frankfurt-am-Main, beginning with two semesters of jurisprudence. During the summer semester of 1919, Fromm studied at the University of Heidelberg, where he switched to study sociology under Alfred Weber (brother of Max Weber), Karl Jaspers, and Heinrich Rickert. Fromm received his Ph.D. in sociology from Heidelberg in 1922, and completed his psychoanalytical training in 1930 at the Psychoanalytical Institute in Berlin. In that same year, he began his own clinical practice and joined the Frankfurt Institute for Social Research. After the Nazi takeover of power in Germany, Fromm moved to Geneva, Switzerland and in 1934, to Columbia University in New York. After leaving Columbia, he helped to pioneer the New York Branch of the Washington School of Psychiatry in 1943. In 1945, he helped form the William Alanson White Institute of Psychiatry, Psychoanalysis, and Psychology. Fromm was married three times. His first wife was Frieda Reichmann, a psychoanalyst who gained a good reputation from her effective clinical work with schizophrenics. Their marriage ended in divorce in 1933, but Fromm acknowledged that he learned much from her. At age 43, Fromm married Henni Gurland. They moved to Mexico City in 1950 because of her health problems, but she died in 1952. A year after her death, Fromm married Annis Freeman. When Fromm moved to Mexico City in 1950, he became a professor at the Universidad Nacional Autónoma de Mexico (UNAM) and established a psychoanalytic sector of the medical school. He taught at the UNAM until his retirement in 1965. Fromm was also a professor of psychology at Michigan State University from 1957 to 1961 and served as an adjunct professor of psychology at the graduate division of Arts and Sciences at New York University. In 1974, he moved to Muralto, Switzerland. He died at his home in 1980, five days before his eightieth birthday. Throughout his life, Fromm maintained his own clinical practice and published a series of books, the most popular of which was The Art of Loving (1956), which received international success. Central to Fromm's world view was his concept of self as social character. Fromm saw basic human character stemming from our existential frustration of being a part of nature, while needing to rise above nature through our reasoning and ability to love. The freedom to be unique individuals is fearful, so human beings tend to surrender to authoritarian systems. Fromm extolled the virtues of people taking independent action and using reason to establish their own moral values rather than adhering to authoritarian norms. Human beings have evolved into beings, conscious of themselves, their own mortality, and their powerlessness before the forces of nature and society, and no longer united with the universe as they were in their instinctive, pre-human existence as animals. According to Fromm, the awareness of a disunited human existence is the source of all guilt and shame, and the solution to this existential dichotomy is found in the development of one's uniquely human powers of love and reason. Fromm distinguished his concept of love from popular notions of love to the point that his reference to this concept was virtually paradoxical. Fromm considered love to be an interpersonal, creative capacity rather than an emotion, and he distinguished this creative capacity from what he considered to be various forms of narcissistic neuroses and sado-masochistic tendencies that are commonly held out as proof of "true love." Indeed, Fromm viewed the experience of "falling in love" as evidence of one's failure to understand the true nature of love, which he believed always had the common elements of care, responsibility, respect, and knowledge. Fromm also asserted that few people in modern society had respect for the autonomy of their fellow human beings, much less the objective knowledge of what other people truly wanted and needed. Fromm often referred to examples from the Talmud to illustrate his ideas, but with interpretations that were far from traditional. Fromm used the story of Adam and Eve as an allegorical explanation for human biological evolution and existential angst, asserting that when Adam and Eve ate from the "Tree of Knowledge," they became aware of themselves as being separate from nature, while still being a part of it. Putting a Marxist spin on the story, he interpreted Adam and Eve’s disobedience as a justified rebellion against an authoritarian God. Resolution of the human condition, according to Fromm, cannot involve any input from the Almighty or any other supernatural source, but only by our own efforts to take responsibility for our lives. In another example, Fromm pointed to the story of Jonah, who did not wish to save the residents of Nineveh from the consequences of their sin, as demonstrative of his belief that the qualities of care and responsibility are generally absent from most human relationships. The culmination of Fromm's social and political philosophy was his book The Sane Society, published in 1955, which argued in favor of humanist, democratic socialism. Building primarily upon the early works of Karl Marx, Fromm sought to re-emphasize the ideal of personal freedom, missing from most Soviet Marxism, and more frequently found in the writings of libertarian socialists and liberal theoreticians. Fromm's brand of socialism rejected both Western capitalism and Soviet communism, which he saw as dehumanizing and bureaucratic social structures that resulted in a virtually universal modern phenomenon of alienation. He became one of the founders of the Socialist Humanism, promoting the early Marx's writings and his humanist messages to the United States and Western European publics. Thus, in the early 1960s, Fromm has published two books dealing with Marx's thought (Marx's Concept of Man and Beyond the Chains of Illusion: My Encounter with Marx and Freud). Working to stimulate the Western and Eastern cooperation between Marxist Humanists, Fromm published a collection of articles entitled Socialist Humanism: An International Symposium in 1965. Periodically, Fromm was active in U.S. politics. He joined the Socialist Party of America in the mid-1950s, and did his best to help them provide an alternative viewpoint to the prevailing "McCarthyism" of the time, a viewpoint that was best expressed in his 1961 paper May Man Prevail? An Inquiry into the Facts and Fictions of Foreign Policy. However, as a co-founder of SANE, Fromm's strongest political interest was in the international peace movement, fighting against the nuclear arms race and U.S. involvement in the Vietnam War. After supporting Eugene McCarthy's losing bid for the 1968 Democratic presidential nomination, Fromm more or less retreated from the American political scene, although he did write a paper in 1974 entitled Remarks on the Policy of Détente for a hearing held by the U.S. Senate Committee on Foreign Relations. Fromm as a psychologist has not left a substantial legacy. His desire to see Freudian theory rely on more empirical data and methods was better met by others such as Erik Erikson and Anna Freud. Fromm is sometimes noted as a founder of the Neo-Freudians, but is little acknowledged for any influence on them. His ideas on psychotherapy were an influence in the field of humanistic approaches, yet he criticized Carl Rogers and others to the point of isolating himself from them. His theory of personality is not usually discussed in theories of personality text books. His socio-political influence concluded with his contemporary activities in American politics of the 1960s and early 1970s. However, his books are perennially rediscovered by scholars who are individually influenced. Fifteen such individuals formed the International Erich Fromm Society in 1985. This society, grown to over 650 members, seeks to encourage scholarly works and investigations based on Fromm's work. "Love & Its Disintegration" An excerpt from Fromm's book "The Art of Loving." This page was last modified on 18 August 2017, at 21:04.